Lenexa United Methodist Church was founded July 18, 1869 by five women who met at a school house south of town. The first church building was constructed in 1878 at the corner of 3rd & Hickory (now 91st Terrace and Caenen Lake Road) in Lenexa. 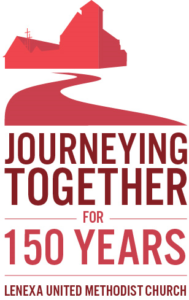 Join us as we celebrate our 150th Sesquicentennial Anniversary on June 29-30, 2019.